USMEF recently conducted a series of US pork rib tasting events and cooking classes in partnership with Chi Mei Food, a major food company in Taiwan. Funded by the United Soybean Board, the USDA Market Access Programme (MAP) and the National Pork Board, USMEF’s two-month-long promotion took place at the Chi Mei Happiness Factory (CMHF), a facility in Tainan City that houses dining establishments and studios for cooking classes and food-related workshops. CMHF is also equipped with on-site shopping facilities and regularly conducts tasting programmes and educational sessions on food products. The US pork rib tasting sessions were held during peak hours, five days each week. People visiting CMHF were given samples and educated on the quality and value of grain-fed US pork. "Ready-to-eat US pork ribs were prepared by Jin Ku Food, a large pork importer in Taiwan," said Davis Wu, USMEF director in Taiwan. 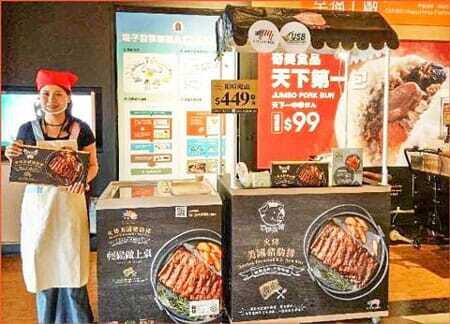 "This particular pork product had only been sold to the banquet and catering sectors, but USMEF worked with Jin Ku Food to launch the US pork ribs with retailers, with the goal of getting more Taiwanese consumers to try US pork and become regular customers. These tasting events were an important part of that effort." Mr Wu said that while pork consumption in Taiwan is very high, 90 percent of the pork consumed is domestic. "Despite the high consumption of pork in Taiwan, it is rare to see US pork products on display or on restaurant menus, as most of the imported US pork is supplied to the food processing sector," explained Mr Wu. "The lack of the visibility of US pork means consumers cannot connect its superior taste to the actual product and its origin. "The popularity of the Happiness Factory in southern Taiwan made it the perfect place to reach the country’s meat lovers and people who cook at home for their families."